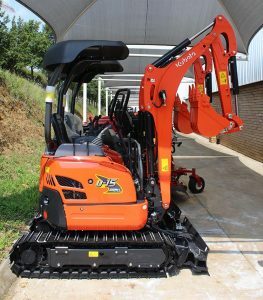 The new arrival joins an ever-growing line-up of Kubota compact excavators available for the local market from Smith Power, comprising the initial debutants, the U30 and U50, introduced locally in 2015, as well as the larger 8-t KX080-3 Super Series that made its debut last year. 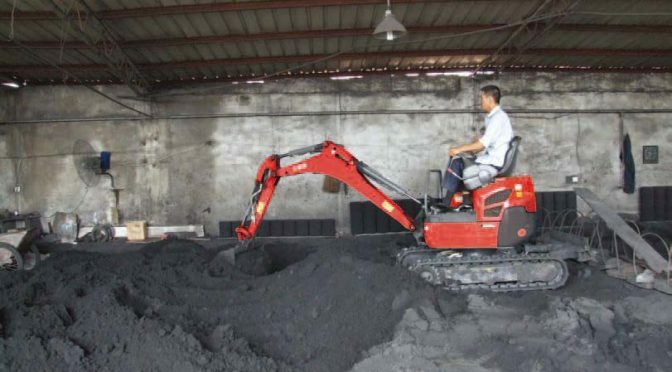 Tom Bloom, general manager for Construction Equipment at Smith Power Equipment, says the U15-3 can be deployed in various applications across several sectors, including agriculture, landscaping and construction. With its powerful, yet smooth operation, this machine is a perfect fit for contractors looking to keep a lid on their operational costs and getting the better of space-constrained working environments. “It is the ultimate solution in confined spaces, thanks to its compact body and adjustable track width function,” says Charl Kemp, Dealer Sales Manager at Smith Power. Powered by the Kubota D782-E2-BH7 engine delivering 9,9 kW (13,3 hp) of power at 2 300 rpm, the machine comes with a range of advanced functions and cutting-edge technology synonymous with Kubota, the world’s leading supplier of compact excavators. For example, the three-pump system, which uses three independent pumps for boom, arm and swivel to make the cooperation between the three components smooth and efficient. “The hydraulic matching system keeps the machine in a straight way when operating the boom, assisting in loading and off-loading,” says Kemp. Meanwhile, the boom swing function contributes to ease of operation near walls. Together with its zero-tail swing structure, the machine is suitable for operation in tight spaces. Uptime is a major factor on any site, more so on construction jobs. With that in mind, the design focus of the U15-3 considered ease of maintenance as a top priority. The wide opening bonnets enable easy access to all serviceable areas such as fuel filter, water separator, battery and coolant. “The two-piece hose connections of the dozer cylinder simplify hose replacement and reduce downtime,” says Kemp. 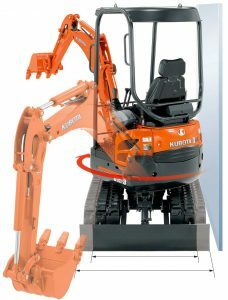 Another competitive edge of the new machine is its versatility, due to its ability to be carry a range of attachments. “The U15-3 is the ultimate tool carrier, just like its fellow Kubota models,” says Bloom. It can carry a range of attachments, all the way from hammers to rippers and grabs. 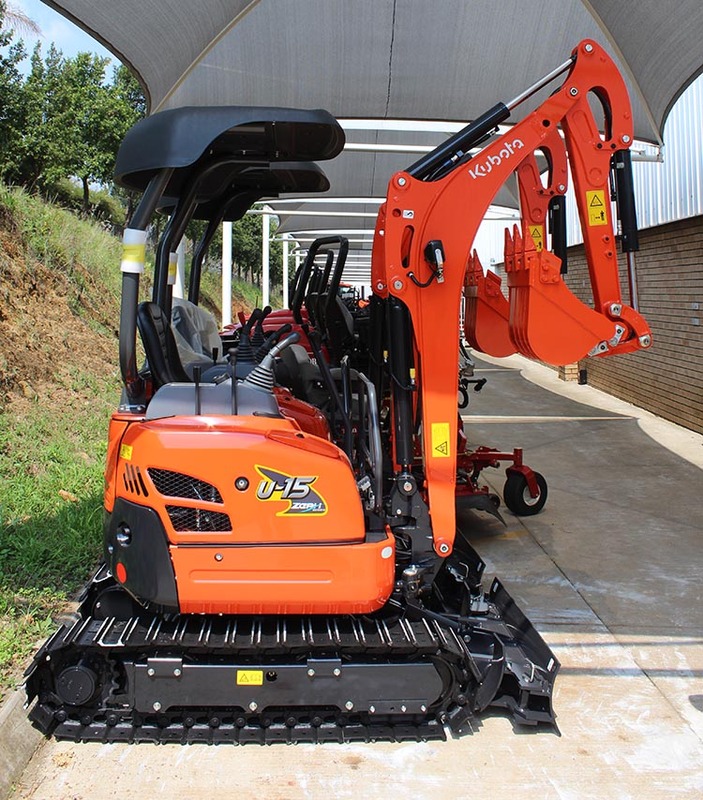 To complement the Kubota compact excavator range’s ability to carry several attachments, Smith Power recently secured the agency for Cangini, an Italian attachment manufacturer. Smith now supplies Cangini’s attachments range in the local market, including demolition crushers and screening buckets, grapples, wood grabs, mulchers, augers, rippers, broom sweepers and pallet forks, among others. The U15-3 arrives at a time when the local construction industry is increasingly adapting to the use of compact equipment. While the market for compact excavators remains very small, compared to developed markets, Bloom predicts it to be around 160 units per year at this stage. Of note is that the market has been growing at between 20% and 30% year-on-year in recent years. 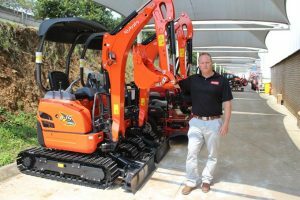 Kemp says the 20-30% year-on-year growth of the Kubota mini-excavators is testimony to the growing trend towards compact gear, especially in the local construction industry. 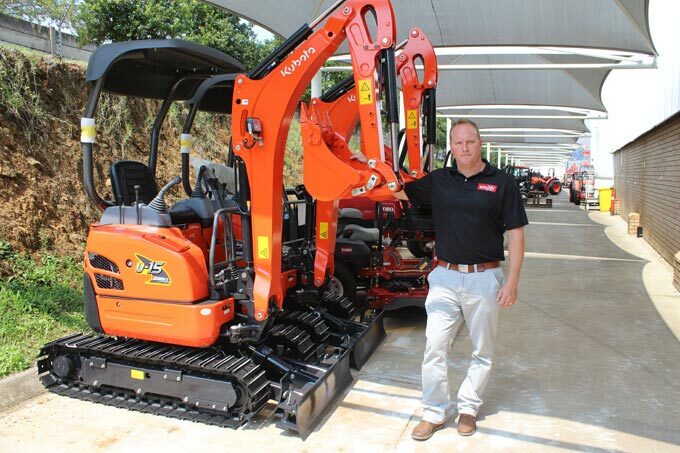 “We have seen an increased stable demand of compact equipment. Construction is defiantly moving in the direction of compact equipment. Urbanisation and running costs of capital equipment are the major driving factors,” says Kemp. Bloom adds that the move towards more mechanised operation on local sites is also driving the upswing in the adoption of compact gear, especially where space is at a premium. 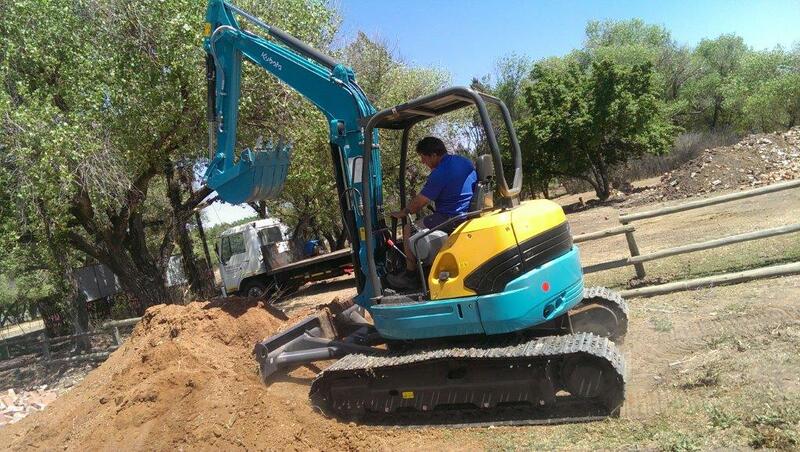 “We have seen an upswing in the sales of our compact excavator range. To give you an idea, in March 2018 alone, we sold a total of nine units, and all were sold to individual customers, with no fleet deals recorded,” he explains. Bloom is excited about the arrival of the U15-3, which offers new possibilities with its very compact build and operating weight. The new offering has already shown signs of greater appeal, with the three of the first four units to arrive in the country sold within their first week of arrival, and well before the official launch. The three units will be deployed in plumbing, mountain bike trail maintenance and agricultural applications by their three different owners. “Apart from conventional construction, plant hire, mining and agricultural-based applications, we are looking at opening up new markets where our competitors are yet to explore. We see a couple of niche applications where this unit can be the tool of choice,” concludes Bloom.